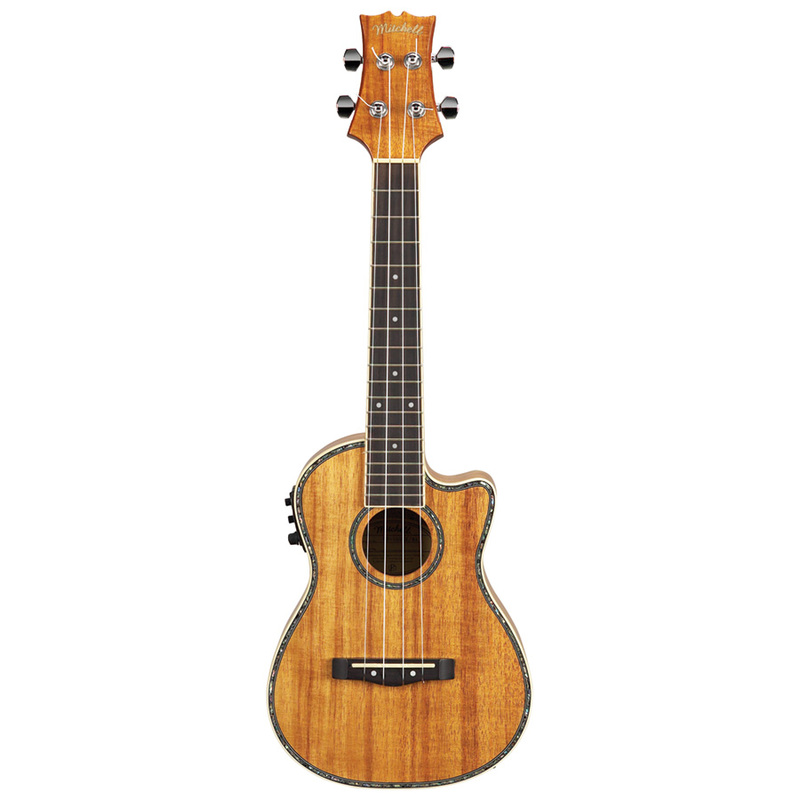 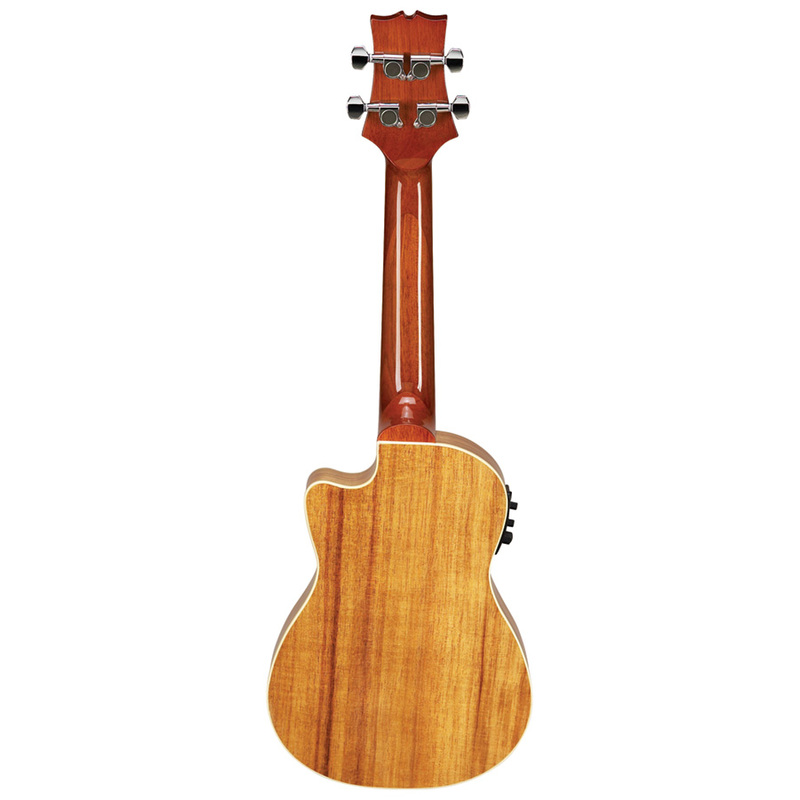 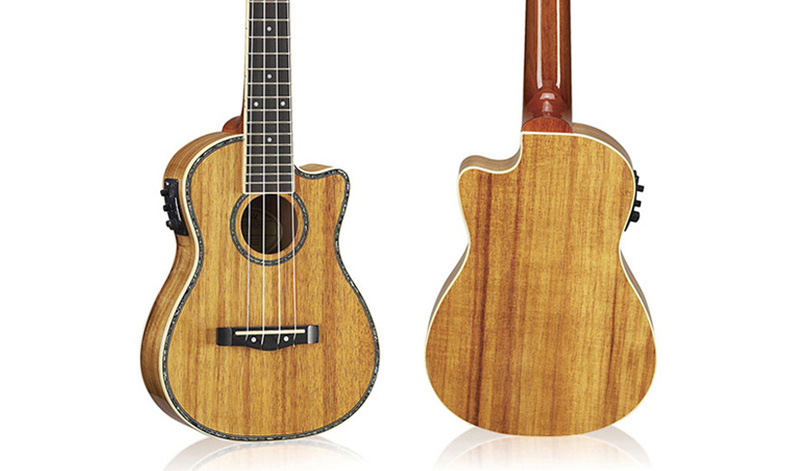 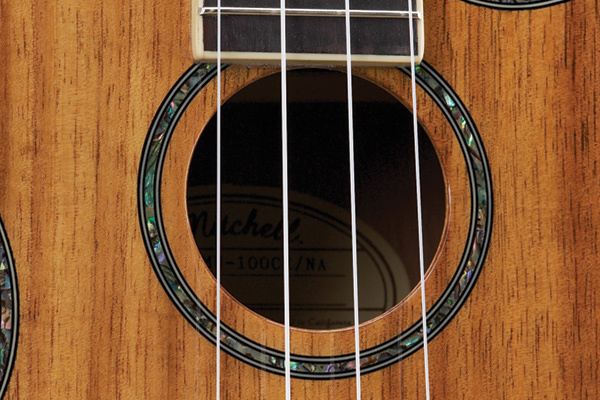 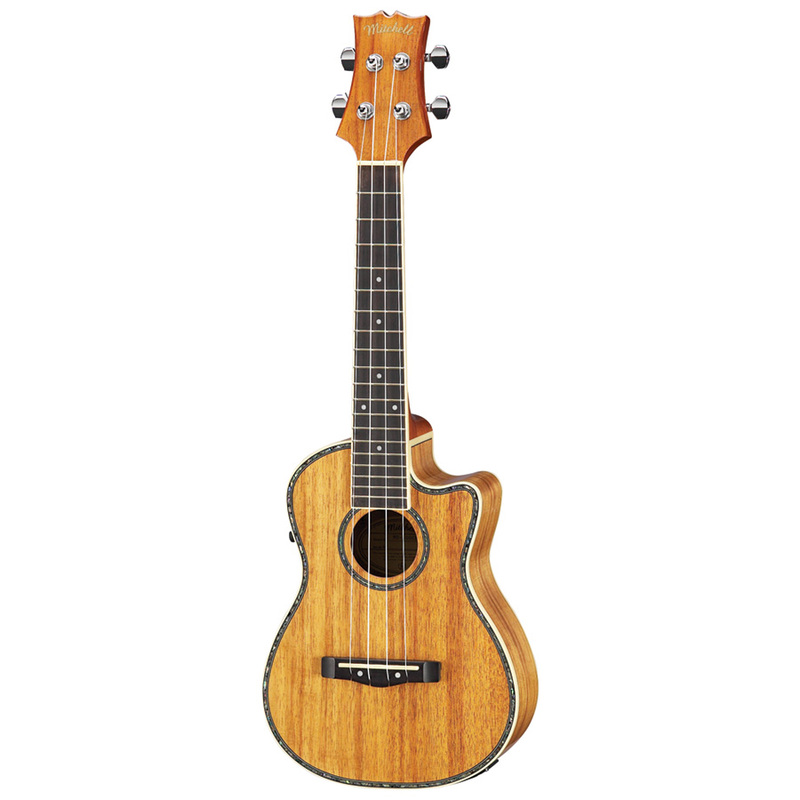 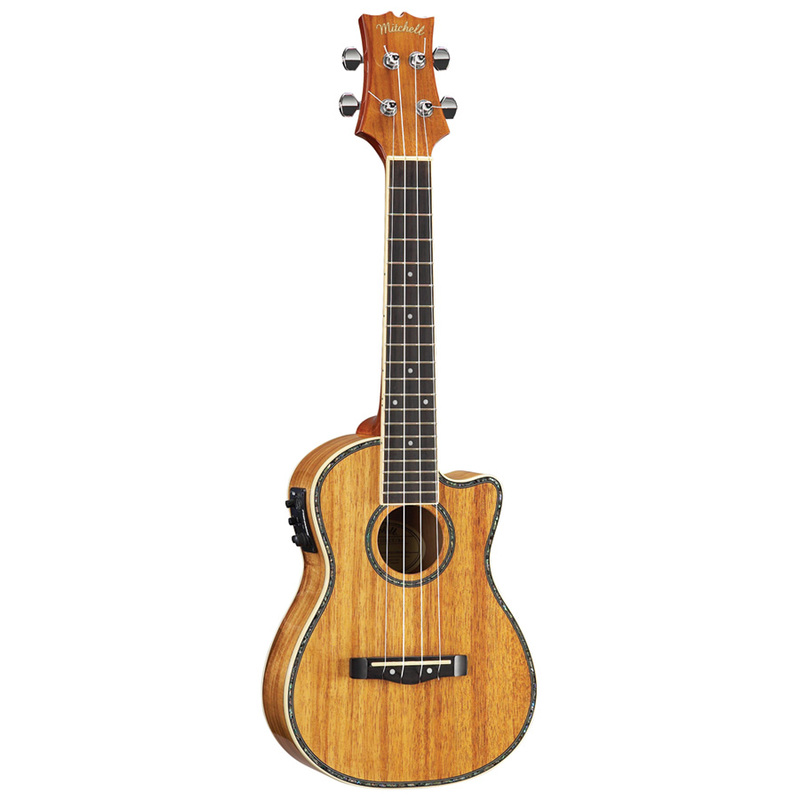 The first acoustic/electric ukulele in the Mitchell line, the Mitchell MU100CE Ukulele takes our ever-popular concert all-koa ukulele and adds the flexibility of a Fishman™ KULA preamp with built-in tuner, allowing you to amplify your performance and dial in the perfect sound on any stage. 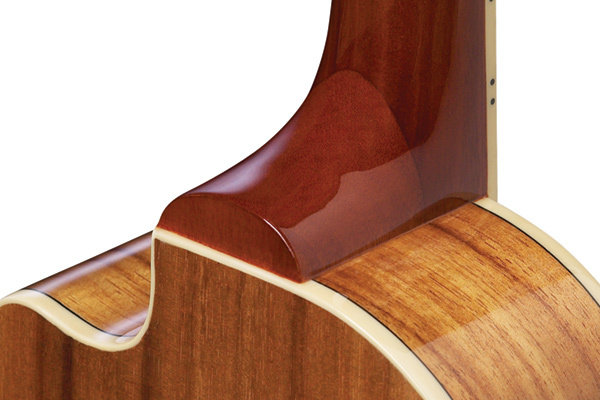 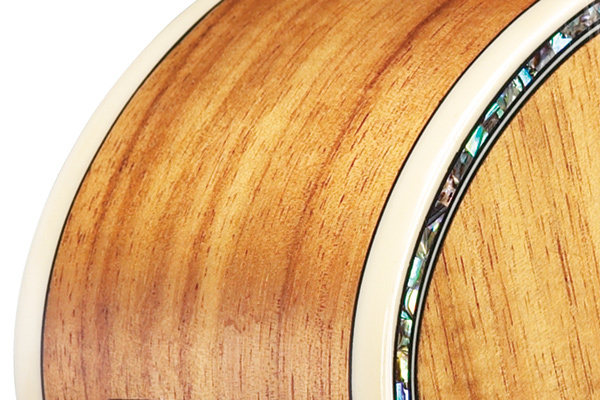 Cutaway design allows for easier access to the upper frets. 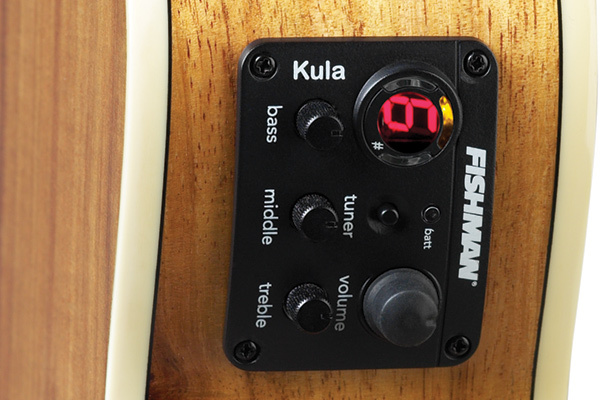 Fishman™ KULA preamp with built-in tuner.